The founders of Midland Steel Company were looking for a life change in the early 1960s. 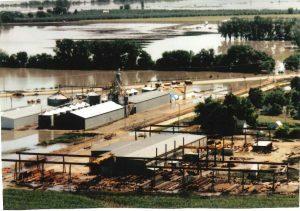 They were working at St. Joseph Structural Steel located in St. Joseph, MO, and decided they would strike out on their own and create a structural steel fabrication company. 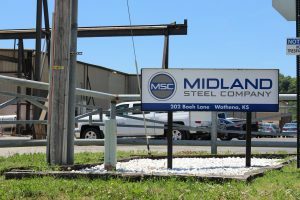 In January of 1965, they purchased an existing fabrication shop and created Midland Steel Company. Midland Steel Company’s craftsmanship also expanded from the local community and into the Kansas City region, working on projects for the Kansas Speedway, Kansas City Chiefs, Nelson-Atkins Art Gallery, Hollywood Casino, Harley Davidson, Kansas City Zoo, KU Lied Center, Sprint Campus, Staley High School, Olathe Northwest High School and many more.